Nestor Espenilla Jr. is the deputy governor for the supervision and examination sector of the Bangko Sentral ng Pilipinas (BSP). He serves in the Advisory Committee on Monetary Policy, the Financial Stability Committee, the Inclusive Finance Steering Committee, and the Payment and Settlements Steering Committee. He is BSP's representative to the Capital Markets Development Council (CMDC) and sits as alternate board member to the Philippine Deposit Insurance Corporation (PDIC). He also represents the BSP at the G20 Global Partnership for Financial Inclusion (GPFI) and in the Basel Consultative Group (BCG) as chair of the Workstream on Financial Inclusion. Anurag Mathur joined the HSBC Group in Hong Kong in 2009, and has held senior roles in Retail Banking & Wealth Management (RBWM) including in product management, strategic planning and business performance management. Most recently, he was the head of international for retail banking and wealth management in Asia-Pacific, which involved overseeing the growth strategies and transformation agendas for HSBC in Bangladesh, Brunei, Macau, Mauritius, New Zealand, Philippines, Sri Lanka and Vietnam. In his career spanning more than 20 years, Mathur has worked in Singapore, Australia and Hong Kong. Rana Peries is a seasoned financial services professional with extensive experience in Australia, Asia and Africa, focusing on customer acquisition through digital lead new business models. Rana is also an expert on Open Banking Platforms and has lead the implementation of several Banking API platforms. Prior to joining Barclays, he was the head of innovation and digital financial services technology for the Commonwealth Bank of Australia. Rana is an experienced strategist and innovator and has held roles such as head of innovation, head of enterprise architecture and chief information officer (CIO), with major Australian and international financial services organisations. Dante Fuentes is the group chief compliance officer of Security Bank Corporation and has direct oversight of the non-bank financial institutions which are subsidiaries and affiliates of Security Bank Corporation. He is also the president of the Association of Bank Compliance Officers, Inc. (ABCOMP) and presided over the Association of Certified Fraud Examiners-Philippine Chapter (ACFE - Philippines) from 2014 to 2016. He is a senior adviser to the Good Governance Advocates and Practitioners of the Philippines (GGAPP). He is also a certified public accountant, fraud examiner, and anti-money laundering specialist. Mark Perez has been Metrobank’s retail banking group head since January 2013. He supervises retail product management, direct banking channels, decision management and customer analytics, as well as quality and customer experience. In his 20-year career, he served as branch operations and services head of Citibank (Philippines) and held various other senior positions at Metrobank. He also worked with Accenture Manila Consulting Office’s financial services practice from 1998 to 2002 leading branch reengineering, data warehouse, balanced scorecard, and sales transformation projects with banking clients. Perez has also been director and executive committee member of BancNet since April 2013. Vice President, BDO Unibank Inc.
Ken Tiambeng is currently head of electronic banking at BDO Unibank. He is responsible for the online, mobile, and phone banking business at BDO. He has over 15 years of experience in electronic banking, technology and operations, and marketing. His discipline is in engineering and holds a master’s degree in technology management from the University of the Philippines. Paolo Azzol is the managing director and co-chief operating officer at PayMaya Philippines. Previously acting as managing director for Rocket Internet AG, UK, he helped the firm grow its influence in alternative lending and mobile payments, idea generation and acquisitions. Azzola started his fintech career in London’s globally dominant sector, as an executive at the leading P2P lender, MarketInvoice, and then as co-founder of Stelapoint, a financial software engineering firm. Azzola also spent 7 years at JP Morgan Chase between London and New York, where he focused on derivatives structuring for the world's largest asset managers and foundations as well as helping to grow the company's corporate derivatives sales & trading unit. Markus Gnirck co-founded Startupbootcamp FinTech in London, now the largest innovation program for FinTech companies and the financial industry with offices in London, Singapore and New York and supported by 18 corporate partners. In his position of expanding Startupbootcamp to Asia, he played an instrumental role in building up FinTech ecosystems across the region and driving policy change and he is now rated as one of the key FinTech influencers in APAC. Gnirck has worked with more than 100 early stage companies in Asia to create partnerships with financial institutions. Additionally, he supports the financial industry and regulators in the digital transformation through the use of technology. Praveen Kumar is the general manager for Asia Pacific at ASG based in Singapore. He joined ASG in December 2013, prior to which he was the senior vice president for sales at T-Systems, a fully owned Subsidiary of Deutsche Telekom AG. 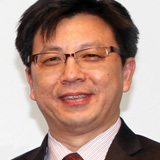 Prior to T-Systems, he worked in IBM in multiple roles for more than 12 years, leading their security and internet data center services business across Asia Pacific. His last role at IBM was that of VP of general business, channels, OEM and ISV business across South Asia and India. Praveen also headed their APAC services business, which he transformed from a loss-making venture into a highly profitable business stream. Janine Marie Crisanto is research analyst at The Asian Banker covering key trends and developments in the retail banking industry. She previously worked for TNS Philippines as researcher for product development and innovation. Crisanto graduated from the University of the Philippines with a de gree in communication research.